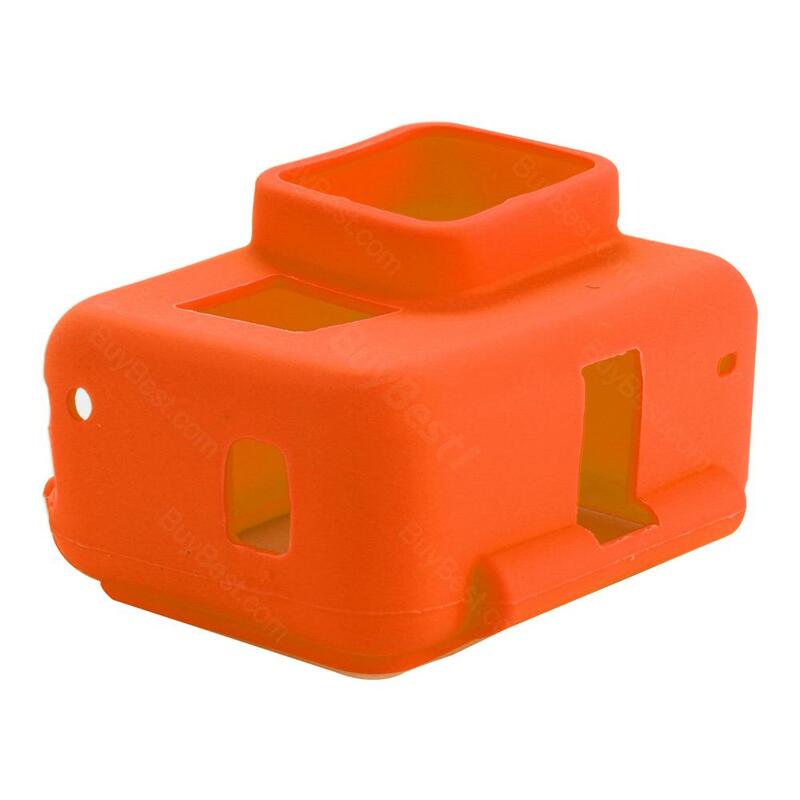 This silicone case is specially designed for Gopro Hero 5, which is dustproof and scratch proof. Get it for your Gopro Hero 5. • Quick link: Waterproof Housing Case. I own 3 GoPro's cameras and never had a silicone skin because of the previous hard cases, so this silicone case it fits perfectly and is really smooth. Simple but protects all the camera body and you still able to attach all the accessories! Good quality, Great product! Nice bit of added protection for my Gopro Hero 5. The soft silicon goes on easily and fits snugly, while still allowing the camera to utilize the Gopro case plus mounting hardware. I really like the bright color for finding the camera when accidents happen. Able to remove charger cover and use silicone cover to keep debris out. When camera needs to be recharge, just pull cover off then plug it in while frame is still on! No more to remove camera out of frame then slide open the cover door to plug charger in. It was P.I.A! Glad to have it!